Last week, NLIHC participated in the 10th Annual Fall Affordable Housing Conference in Atlanta, hosted by our Georgia state coalition partner, the Georgia State Trade Association of Nonprofit Developers (G-STAND). Co-hosted by the Atlanta Housing Association of Neighborhood-based Developers and the Georgia Affordable Housing Corporation, the event provides a forum for nonprofit and rural housing developers and is Georgia’s only statewide seminar organized by and for nonprofit housing organizations. NLIHC President Sheila Crowley and Outreach Associate Patrice Guillory attended the conference in support of our state partner’s work in Georgia. G-STAND is one of NLIHC’s 61 state partners. NLIHC stays engaged with local issues by sending Outreach Associates to regional conferences held by the members and constituents we strive to represent. “It’s always great to get face-time with the people we’re working with and advocating for on the national level,” said Ms. Guillory, who represents the Southeast and West. NLIHC’s relationship with G-STAND shows that membership in NLIHC is a two-way street. G-STAND benefits from NLIHC resources and housing news updates received from their Outreach Associate and Memo to Members. “Having Outreach Associates available to respond to policy questions and to provide direction on how to use the latest housing data in Out of Reach is a valuable tool,” said Kate Little, President and CEO of G-STAND. Likewise, our connection with our members helps us stay informed about what is happening at the state and local level so that we can continue to accurately represent low income Americans’ housing needs here in Washington, D.C. Learn about G-STAND in our latest issue of Memo to Members. To learn more about becoming a member of NLIHC, contact your regional Outreach Associate or email outreach@nlihc.org. 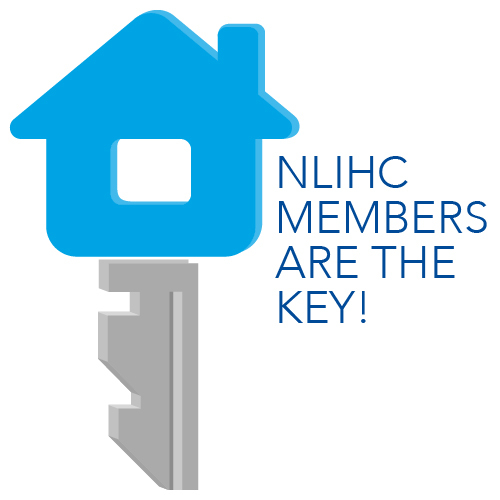 Join thousands of housing advocates and NLIHC in our efforts to ensure that people with the lowest incomes in the United States have affordable and decent homes at www.nlihc.org/join.